WASHINGTON — The poisoning in Britain of a former Russian spy and his daughter amounts to “attempted murder” by the Russian government and furthers a pattern of Russian efforts to divide the U.S.-led Western alliance, Defense Secretary Jim Mattis said Tuesday. In remarks to reporters at the Pentagon, Mattis said the March 4 attack in Salisbury, England, involved the “pretty obvious” use of a chemical agent. 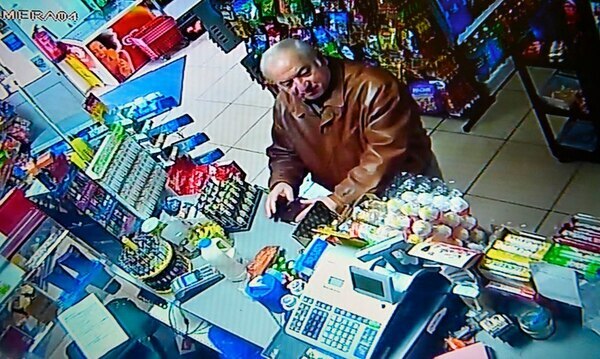 He did not identify the agent, beyond calling it a “weapon of mass destruction,” but the British government says it was Novichok, a military-grade nerve agent. Mattis said Salisbury was the first chemical weapon attack in Europe since World War II and provided a fresh example of Russian misbehavior. The United States and more than a dozen European nations kicked out Russian diplomats on Monday and the Trump administration ordered Russia’s consulate in Seattle to close, as the West sought joint punishment for Moscow’s alleged poisoning of an ex-spy in Britain. 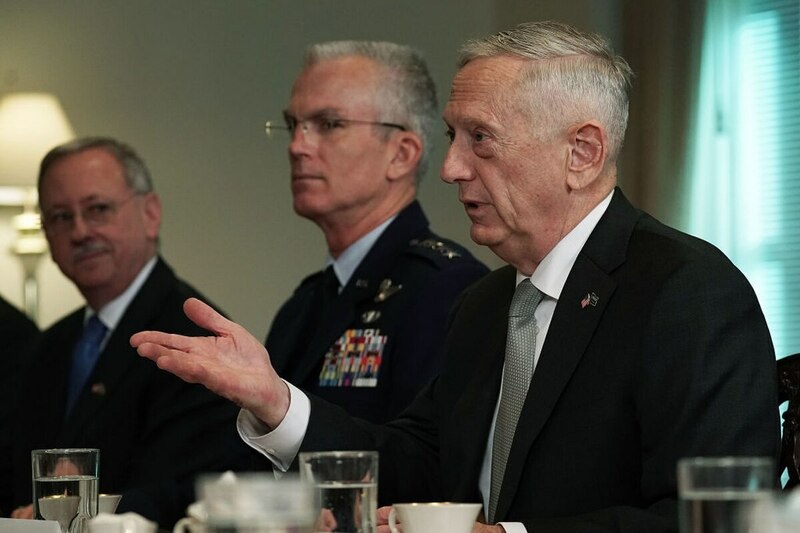 Mattis, a retired Marine general and former senior NATO commander, said he could recall a time when the U.S. and Russian militaries were training together for international peacekeeping missions amid hope of a post-Cold War partnership. Asked whether this amounted to an act of war, Mattis said it is part of a pattern of Russian actions that President Vladimir Putin apparently believes can be plausibly denied. Mattis cited as examples Russia’s 2014 annexation of Crimea and its military intervention in eastern Ukraine, as well as its interference in the 2016 U.S. presidential election. “They are doing things they think are deniable,” he said. 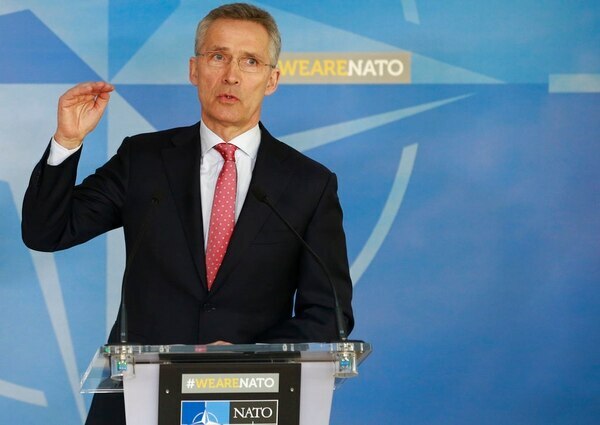 “So they’re trying to break the unity of the Western alliance,” referring to NATO, which joined in the denunciation of the Salisbury attack, announcing Tuesday that it will expel seven staffers from the Russian mission in Brussels and will deny the pending accreditation requests of three other workers there. More than 20 countries on Monday announced they were expelling a total of more than 130 Russian diplomats, including 60 kicked out by the United States, in response to the Salisbury incident. On Tuesday, Australia said it was kicking out two Russian diplomats whom he described as undeclared intelligence officers. They have been given seven days to leave. Mattis highlighted NATO’s response, which carried undertones of Cold War-like tension, but declined to say what role he believes Putin had in the Salisbury attack and other actions designed to divide the West. “I won’t speculate. Certainly he’s responsible as the head of state. We all can draw our own conclusions,” he said. President Donald Trump on Tuesday spoke by phone with the leaders of two key NATO allies — French President Emmanuel Macron and German Chancellor Angela Merkel. The White House said that in both conversations the leaders expressed support for the West’s response to the Salisbury poisoning, including NATO’s expulsion of Russians. The U.S. sees Russia increasingly as an adversary, although in Syria the two countries are still in daily contact to prevent unintended military clashes as Russian forces support President Bashar Assad and U.S. forces back anti-Islamic State fighters. Mattis said high-level U.S.-Russian contacts in recent days helped defuse a potential clash between what he called Russian mercenaries and U.S.-allied Syrian Democratic Forces, who are fighting IS remnants in the Deir el-Zour area of eastern Syria. Mattis said when these “Russian elements” got too close to the U.S.-backed forces on the east side of the Euphrates River, Gen. Joseph Dunford, chairman of the Joint Chiefs of Staff, got on the phone with his Russian counterpart, Gen. Valery Gerasimov. As a result the Russians pulled backed and the U.S.-allied fighters fell back “slightly,” Mattis said. “We think the potential for a clash there, thanks to the Russian direction to this group, has been reduced,” Mattis said.